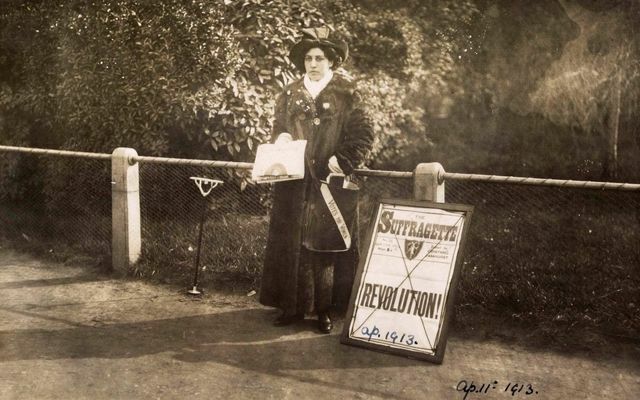 100 years ago, to the day, property-owning women over the age of 30, were granted the right to vote. Astonishingly, the fight for gender equality continues unabated. One of the most recent examples of this is the BBC pay gap scandal in which trailblazer Carrie Gracie resigned as the BBC's China editor over pay disparity. Roll back 40 years to the female Dagenham workers who walked out of their factory and we realise that not enough has changed. It is perhaps a sign of how much Britain has changed in the past half century that the gender of Theresa May, only Britain’s second female prime minister, is rarely remarked upon. Today however, it will be discussed rather a lot. February 6, 2018, marks 100 years since women were given the vote in Britain, albeit in limited numbers (the full franchise had to wait until 1928). This is one of those set piece days that Westminster so loves. And May isn’t simply spending the day commemorating. She will take the opportunity to move the political debate beyond Brexit, for a few hours at least, and instead talk about bullying and intimidation in public life. May will speak later in Manchester, where she will praise the heroic efforts of the women who won the right to vote and to stand for election.